In at least one Texas bank and one Ohio credit union, 3D video banking is currently undergoing testing, according to TheFinancialBrand.com, a website for bank and credit union marketing executives. Three-dimensional video banking is similar to a consumer video conference with a bank representative –- only in this case, the executive looks like a living, breathing person sitting across from you. Thanks to theater surround sound, the representative also sounds as if they're in the same room. And since the consumer is interacting with a real person and not an automated hologram, the experience apparently isn't much different than the real thing. Banking and managing money isn't what it used to be. The 1970s and 1980s brought us the rise of the ATM. Consumers became acquainted with online banking during the 1990s and the first decade of the 2000s. 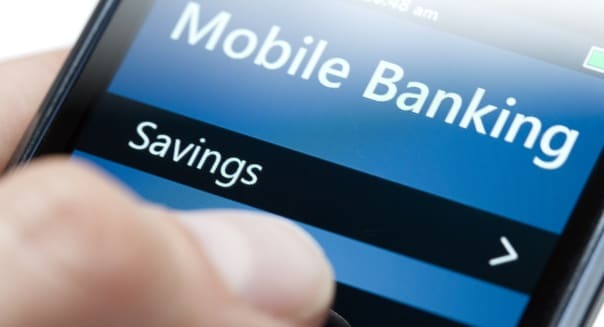 The 2010s are shaping up as the era of mobile banking. That was underscored Sept. 10-11 in New York City when Mitek Systems Inc. (MITK), a San Diego-based technology company, debuted its Mobile Photo Account Opening product at Finovate, a trade show where banking tech products are often unveiled. The product allows consumers to open a bank account within 60 seconds. If you have your bank's app, you can use your smartphone's camera to take a photo of the front and back of your driver's license, and presto, your new checking, savings or credit card account is open. Here's a look at other financial products and services personal financial experts think we'll be using in the future. Within 10 years. "The economic payments system will begin to 'know us,' either through biometrics, optical sensor or facial recognition," says Joshua Siegel, managing principal of StoneCastle Partners, a New York-based asset management firm that invests in banks. That's already happening to some extent with smartphones –- the new Apple (AAPL) iPhone 5S, for example, uses fingerprint scanning to unlock the phone. Meanwhile, some financial services companies, such as Barclays, are testing and using voice recognition programs in customer service calls. (Why? It makes it much more difficult for a thief, who just stole your driver's license, to pose as you over the phone.) So it isn't a leap to believe that within a decade, the public will become accustomed to automated bank tellers and smartphones recognizing consumers by a touch or a glance. And for all the talk about digital currency overtaking cash, ATMs won't be going away anytime soon. Diebold Inc. (DBD), a $3 billion software and technology firm in North Canton, Ohio, unveiled an ATM at the 2013 International Consumer Electronics Show that is designed to work with smartphones. You start the transaction from your smartphone, where you're then given a one-time code that you type onto the ATM, and your cash is released. As Diebold points out, there's no more worrying about someone looking over your shoulder as you type in your PIN number -– and no possibility of a criminal capturing your debit card information with a skimmer. But not all banking changes will be of the gee-whiz-isn't-that-cool variety. "The banking industry will likely undergo significant changes over the next few decades," says Jeff Varisco, vice president of insurance services at American Equity Investment Life Insurance Co. (AEL), headquartered in West Des Moines, Iowa. He believes that in industrialized nations, there will be more regulation focusing on solvency and the "too big to fail" problem. Will we even notice? Varisco thinks so. "These efforts will cause the industry to move toward consolidation to a handful of large, national and international banking institutions thereby limiting the ability for banks to develop and offer products specific to regional and local needs," he says. %VIRTUAL-article-sponsoredlinks%Within 20 years. At this point, nobody will use a teller for something as simple as a deposit or withdrawal, says Maclyn Clouse, professor of finance at the University of Denver's Daniels College of Business. "There will be no teller lines at banks, but loan requests and paperwork for the loans will still exist because of all the regulation. Banks may still have some face-to-face activity for investment products," Clouse says, adding that it will probably become as commonplace to do banking through a TV as it is now through a PC, tablet or phone. That said, "The biggest threat to all of these changes is the lack of security. If hackers can access accounts, there will be significant consumer pressure against the technological changes," Clouse says. "Unfortunately, our current evidence suggests that the hackers are one step ahead. They seem to come up with new ways to hack." And you don't have to be Nostradamus to know that by 2033, paper statements, receipts and mail from your bank will probably be close to nonexistent. But we'll still probably get paper money from banks, says Eric Karson, associate professor of marketing at the Villanova School of Business in Villanova, Pa.
"There are huge cost savings to be realized with digital currency," Karson says, "but countering all this is consumer resistance to change. The act, not the coin," he adds. But Karson does believe that 20 years from now, paper money and coins may be closer to extinction than ever, in part because the cost of producing currency will continue to climb, and customer resistance is bound to eventually weaken. "As time passes, more and more consumers will be more comfortable with all things digital. Today's kids will grow up. There will be less and less separation between their digital life and their life in general," Karson says. Within 30 years. "People will pay for goods and services by sending wireless signals to sellers through wearable computers. The payments will be authenticated through the DNA signatures of all parties to a transaction," says Peter Cohan, who teaches business strategy at Babson College in Wellesley, Mass., and has his own eponymous management and venture capital firm. And by this point, he believes, "Cash and credit and debit cards will be history." Which could have an interesting ripple effect, Clouse says. "If cash does go away, an interesting question is what happens to what are now illegal activities involving cash; for example, drug deals on the street corner, prostitution, et cetera," he observes. Of course, it's possible that in 2043, some reader may stumble upon this article, look at his or her wallet full of paper dollars or renminbi (China's official currency) and snicker. After all, 34 years ago, in 1979, a task force appointed by President Jimmy Carter suggested the country get rid of paper currency and coins and replace everything with plastic. While that partially did happen, hard currency is still going strong: According to the Federal Reserve Bank of New York's website, as of July 2013, the currency in circulation totaled about $1.2 trillion.